The three oscillators can be built all in one go if you’re brave, otherwise you can build them one after each other. For all VCOs start with resistors, then diodes (remember to check polarity), capacitors and then ICs and transistors. Flip board ands older in topside trimmers. 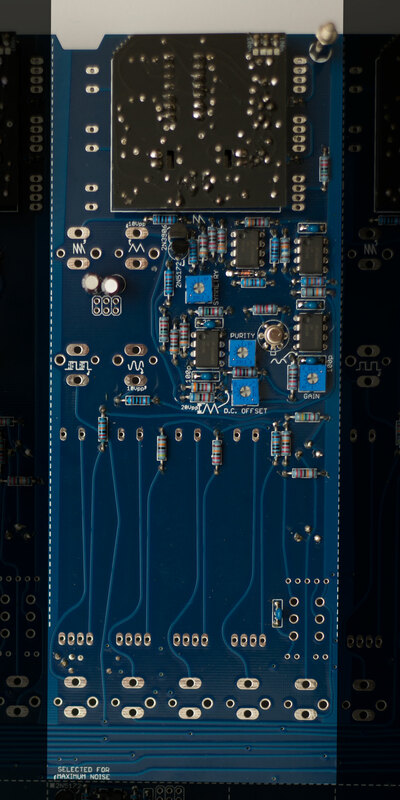 The 2 transistors in VCO 2 does not have to be matched. 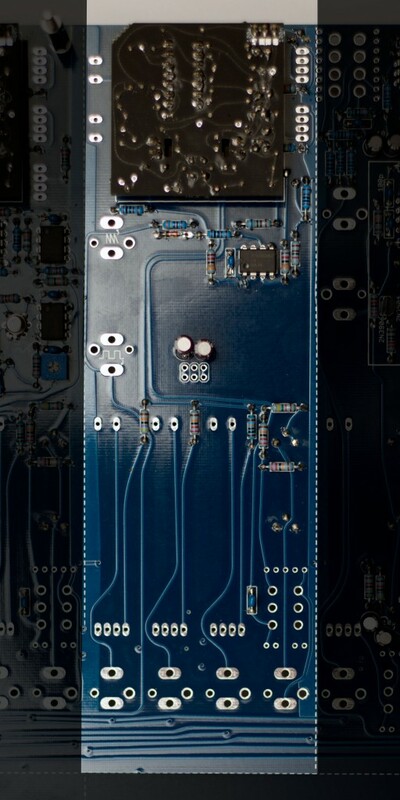 VCO 2 need a 3.5mm jack in the SINE position, since it provides ground connection to other parts of the module. Mounting the 4027-1 sub modules can be done by inserting the female header to the main board and the male headers to the sub board. Solder the whole thing in place – that way you’ll get the right distance between the two boards. And remember to keep it horizontal and neat! Once everything is installed it’s time to test the modules. This is done the same way on all three oscillators. 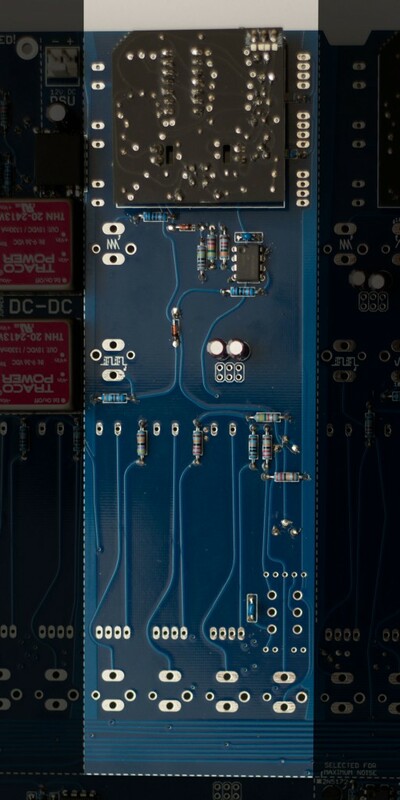 Check the SAW output on respective module and inject +15V into one of the resistors at the middle of the board. This is done to bring up the frequency of the module, otherwise you’ll just get an LFO. You can trim in the waveforms if you’re eager, or you can leave it for later.